ApsaraDB for MariaDB TX supports multiple storage engines, including MySQL InnoDB to meet different user requirements. 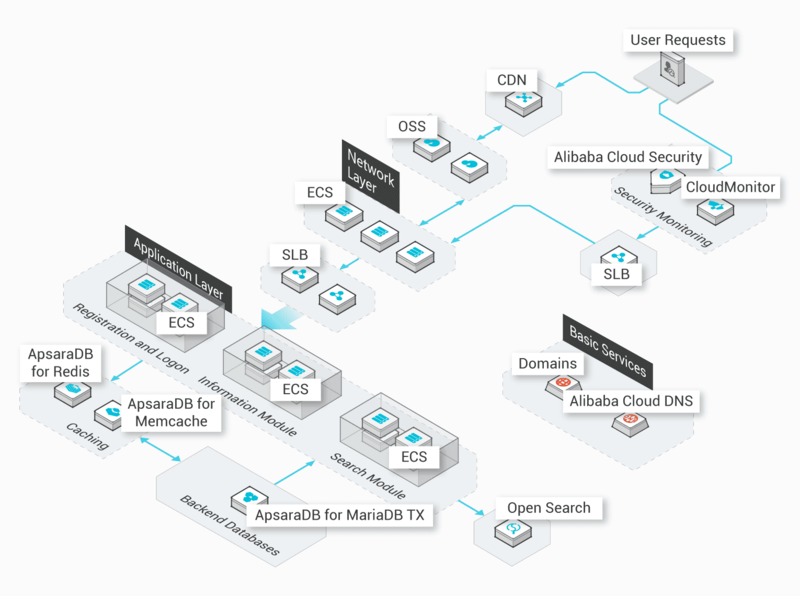 Alibaba Cloud is one of the first public cloud providers to establish a partnership with MariaDB for offer the Enterprise Edition of MariaDB. ApsaraDB for MariaDB TX is compatible with Oracle and designed with multiple enterprise database features. It uses multiple storage engines, including MySQL InnoDB, to meet different user requirements. Supports multiple types of syntax and objects, including PL/SQL, Sequence, dynamic SQL, and Package. Alibaba Cloud is the first public cloud that has established a partnership with MariaDB to offer the Enterprise Edition of MariaDB to enhance the database stability. You can choose InnoDB or MyRocks storage engines based your business needs. Supports multiple enterprise database features, including the Window functions, online data tracking and restoration, and online column addition. ApsaraDB for MariaDB TX uses the architecture of ApsaraDB for RDS, which has been certified by a number of national and international standards organizations, including but not limited to the ISO20000 certification and Grade III Protection of Information Security. You can configure IP whitelists to allow only the specified instances to access resources. You can also use VPCs to implement advanced network access control. Anti-DDoS is automatically enabled for public addresses to ensure business continuity. Links are encrypted through SSL to prevent man-in-the-middle (MITM) attacks. You can enable transparent data encryption (TDE) to automatically encrypt data that has been saved to disks. The advanced security mode can protect your databases against SQL injections and malicious downloading. Supports SQL audit to record all visitors and their activities. This ensures that all security issues can be tracked. Uses the active/standby HA cluster architecture to achieve same city disaster recovery based two zones, and provides SSD disks with up to 6 TB storage space. All instances apply the active/standby architecture. Two instances running on different servers can automatically synchronize data with each other. When the active instance is unavailable, the system automatically switches the database connection to the standby instance. You can deploy active and standby instances in different zones with independent power supplies and networks. This improves the availability of data. ApsaraDB for MariaDB TX supports remote disaster recovery instances. Instances in different regions synchronize data with each other in real time. When an exception occurs, you can switch your business from the active instance to the standby instance to ensure high availability. ApsaraDB for MariaDB TX is billed based on the actual usage and needs. This enables you to quickly and flexibly expand your system. Provides the Standalone Edition, Active/Standby Edition, and Three-member Enterprise Edition. Enables you to expand memory and disk space at anytime to meet your business development needs. Offers purchase plans with dedicated high-performance physical servers at lower costs. Each instance supports a maximum of 56 vCPUs, 480 GB memory, and 6 TB storage. Multiple features have been developed by Alibaba Cloud professional database services based on several years of experience in operations and maintenance. This saves you up to 90% of database operations and maintenance costs. You can customize backup policies and restore a cloned instance to any checkpoint to recover lost or deleted data. Automatically upgrades ApsaraDB for MariaDB TX from minor version to major version and quickly fix detected bugs. Supports resource and engine monitoring, integrates with cloud monitoring, and allows you to customize alarm policies. Detects failures within seconds and completes a failover within minutes to ensure that more than 90% of connections are not affected. Provides professional performance diagnosis service to resolve more than 60% of performance issues. Find out why enterprises large and small are migrating to MariaDB. ApsaraDB for MariaDB TX allows you to build a security system to implement pre-protection, attack detection and prevention, and security event auditing. 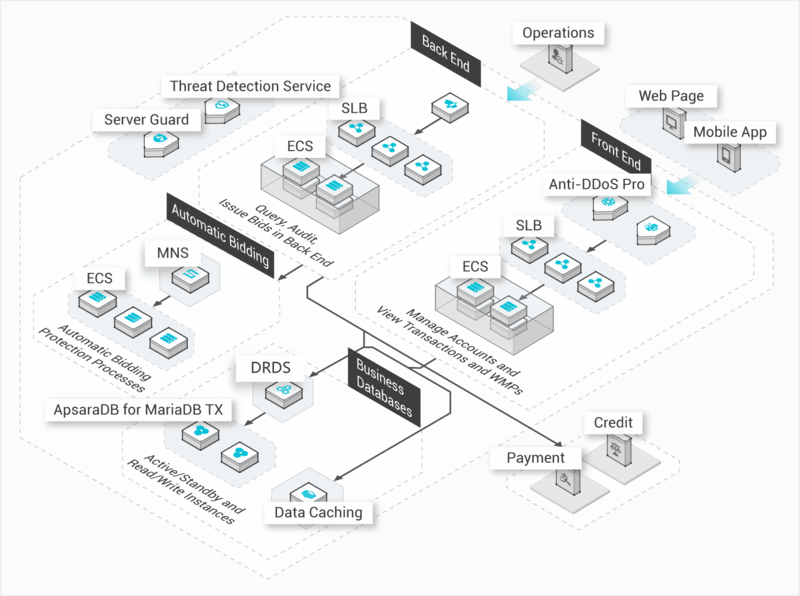 It also supports active/standby failover, same city disaster recovery, and remote disaster recovery to meet regulatory and reliability requirements in the finance industry. Supports IP whitelists, SQL injection prevention, SSL-encrypted data transmission, and TDE data encryption. Provides multiple types of instances, supporting active/standby failover, multiple zones, and remote disaster recovery. Instances are isolated from each other for high stability. 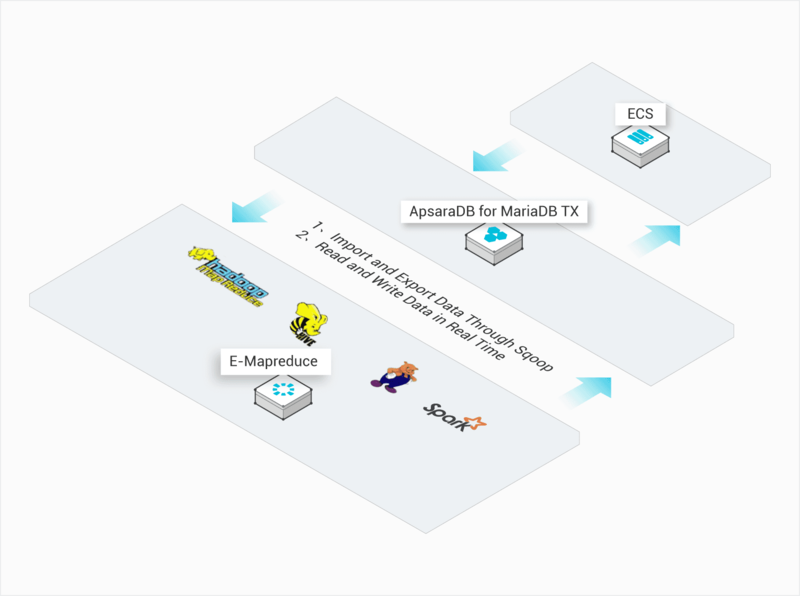 Based on the high-performance distributed computing and storage capabilities of Apsara , ApsaraDB for MariaDB TX provides extremely cost-effective standalone instances. Based on read-write splitting and horizontal scalability, ApsaraDB for MariaDB TX is able to meet any business requirements. This edition provides more services with lower costs. Uses read-only instances to scale out your systems. This enables your websites to handle more user queries. 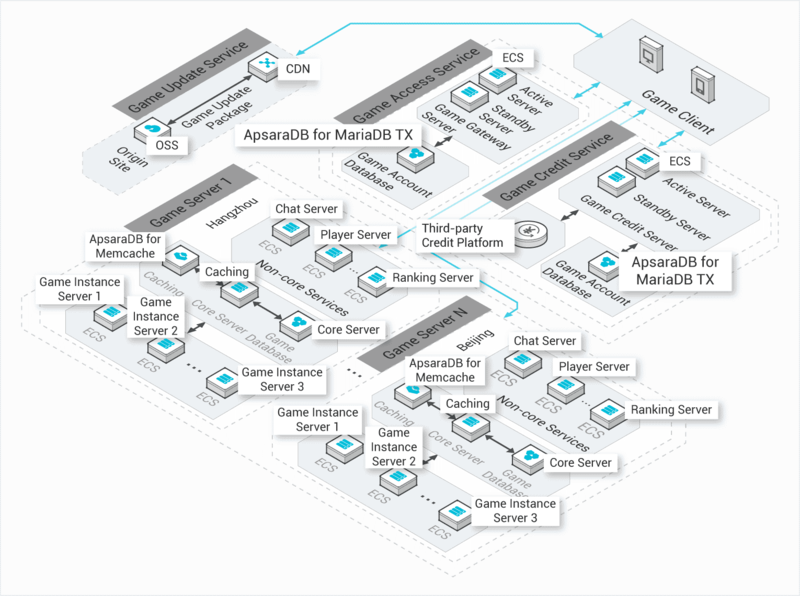 ApsaraDB for MariaDB TX improves the scalability of compute resources and enables you to deploy game server databases within minutes. Based on the active/standby architecture and data transmission encryption, automatic disaster recovery is achieved without interrupting your business. In this way, the stability of your business is guaranteed. Performs active/standby failover while ensuring the availability of 90% of the connections. Supports game data rollback using cloned instances to restore data to a checkpoint anytime. As an online relational database service, ApsaraDB for MariaDB TX works with E-MapReduce, HybridDB, and DataV to meet business demands in log analysis, data warehousing, business intelligence, machine learning, and scientific simulations. You can subscribe to MySQL Binlog to obtain the latest logs. You can switch the network between Classic Network and VPC. This eliminates network silos and accelerates data transmission.